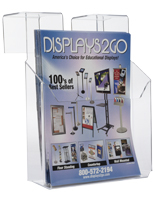 Need to hand out flyers or catalogs at your establishment but need to stay in budget? 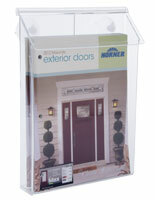 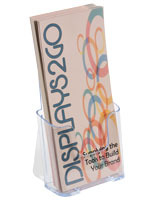 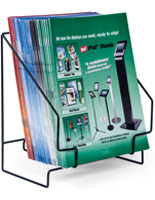 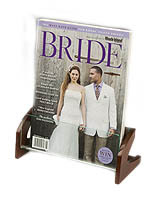 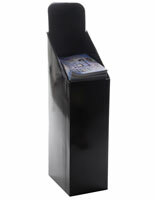 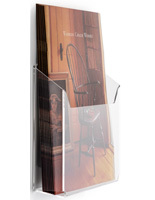 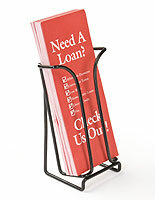 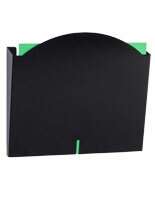 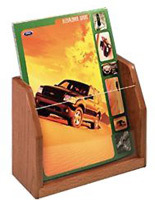 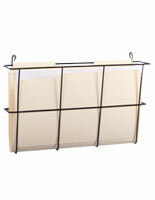 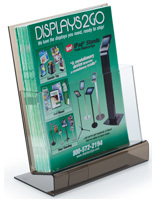 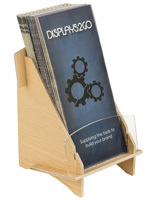 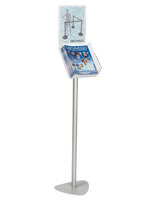 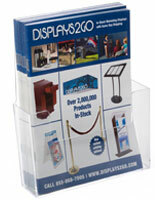 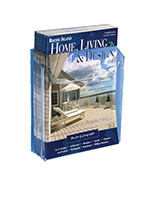 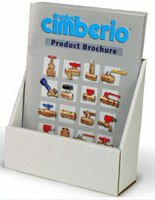 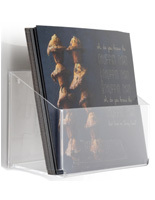 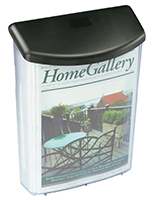 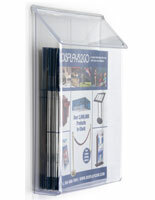 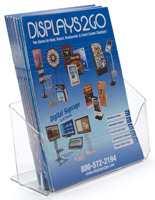 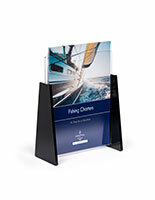 Try a single pocket magazine rack or brochure display. 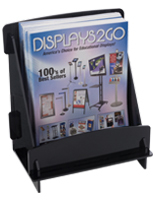 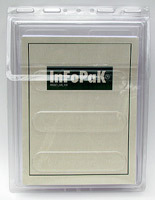 These one-slot holders are ideal for distributing a stack of publications. 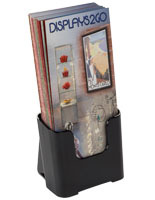 With just one dispenser, users can bolster their brand name, increase awareness of their mission, or promote a specific product/service. 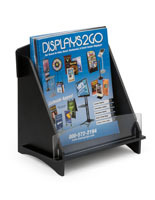 The advantage is that the single pocket magazine holders are quite a bit cheaper than some of their multi-pocket counterparts, so even the smallest businesses and institutions can afford to get the word out. 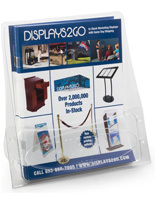 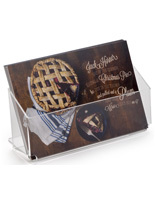 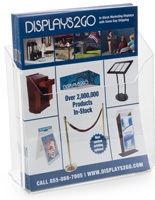 Pamphlets, flyers, company catalogs, and other leaflets are easily passed out to potential customers and current clients when using one of our single pocket racks. 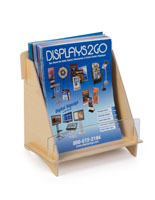 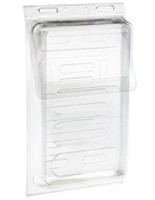 Choose from a wide variety of styles, from natural wooden displays to clear acrylic dispensers. 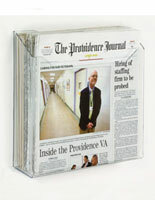 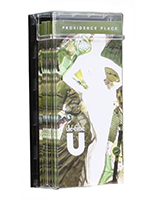 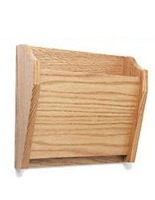 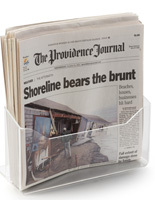 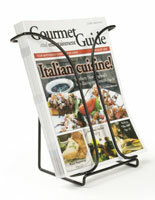 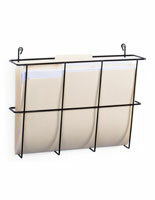 This selection of single pocket magazine racks is offered in a number of designs to accommodate any user. 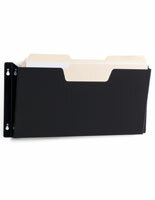 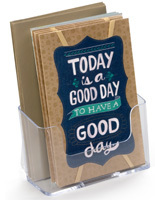 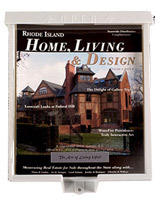 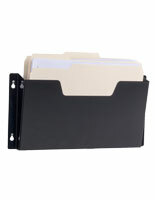 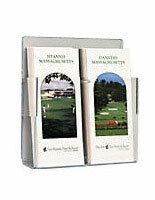 Find holders made for newspapers, 4" x 9" pamphlets, 8.5" x 11" catalogs and office folders, in addition to other paper sizes. 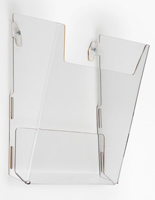 The fixtures are also offered in a number of setups including wall mounted, floor or countertop standing and wall or window hanging. 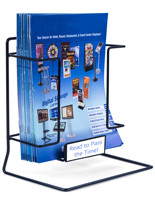 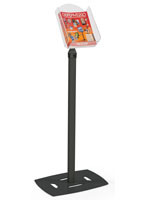 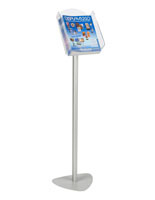 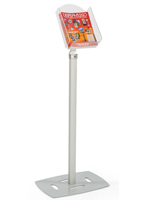 With the majority priced at less than $30 a piece, these unique one-pocket literature display systems are sure to meet the constraints of any tight budget!